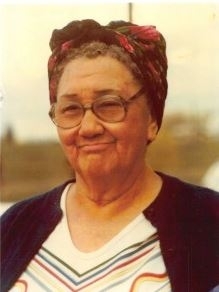 One of the last fluent Kootenai speakers, Adeline Mathias. Photo courtesy Gigi Caye. The Kutenai, also known as the Ktunaxa, Kootenay (predominant spelling in Canada) and Kootenai (predominant spelling in the United States), are an Native American people consisting of four bands: (1) Shuswap Indian Band in British Columbia, (2) Confederated Salish and Kootenai Tribes in Montana, (3) Kootenai Tribe of Idaho and, (4) Confederated Tribes of the Colville Reservation in Washington. Traditionally, they enjoyed the natural bounty of the land, seasonally migrating throughout their traditional territory to follow vegetation and hunting cycles. They obtained all their food, medicine and material for shelter and clothing from nature – relying upon hunting and fishing and the land. The majority of Kutenai speak English as younger generations no longer speak Kutenai as their language at home. Pray that Christian Kutenai will be Christ-like examples in their communities, sharing the message of the Gospel both in word and deed. Pray that Christian Kutenai will share the message of Christ with other unreached Native American peoples. Pray that God will work in the hearts and minds of Kutenai to understand that the ultimate Creator God became the intimate God as revealed in Jesus Christ.